Coat by BASLER. 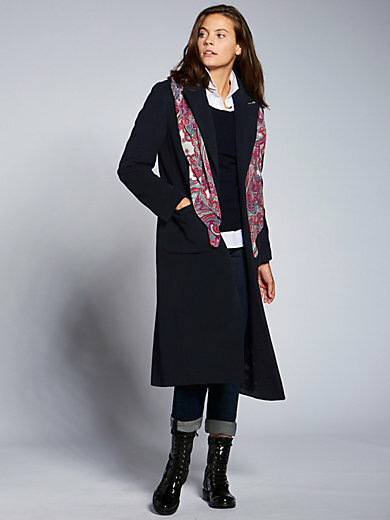 This timelessly elegant coat with distinctive revere collar adapts to casual and elegant outfits alike. The fine material with a touch of soft cashmere is wonderfully comfortable and creates a chic appearance. Slim silhouette with concealed back vent, lengthwise seams and 2 patch pockets. Single inside pocket with zip. 60% new milled wool, 20% cashmere, 20% nylon. Lining 50% viscose, 50% acetate. Length approx. 45ins. The coat should be dry cleaned.